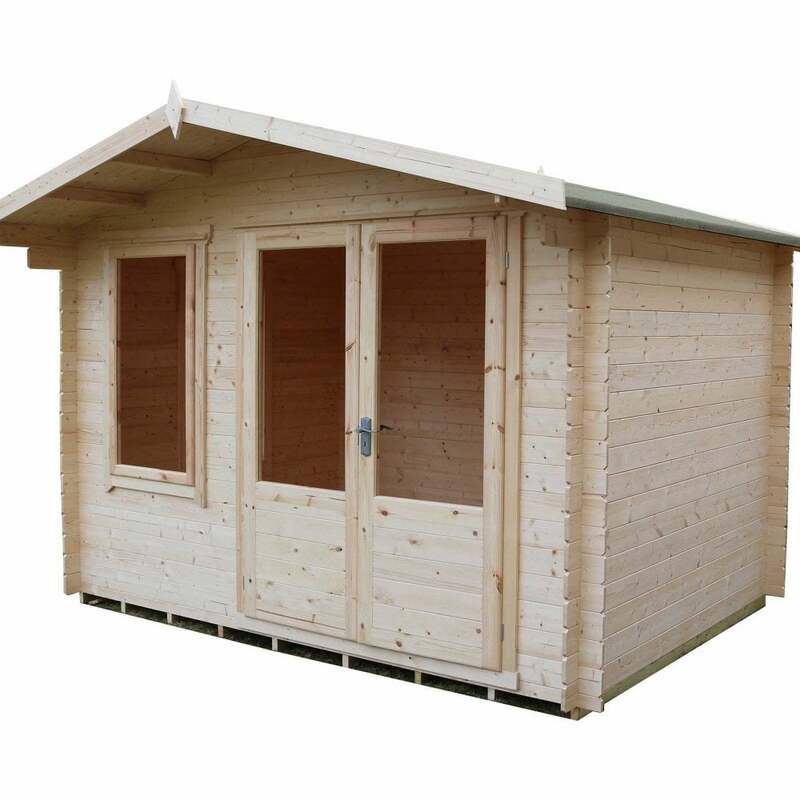 Shire Berryfield Log Cabin with its Large Double Doors and attractive glazing style is a very attractive garden summer house or Log Cabin which is perfect if you require somewhere to spend time in the garden to work or simply relax. Simple styling mean that the door and window can exchange places on the front wall to suit your needs. The large open glazing allows in lots of light and invites the use of curtains or blinds to create a light airy log cabin in the garden. Please note that delivery is NOT available to AB, IV, KW, PA or PH postcodes other than those listed above. Review - Very nice cabin, should have had a thicker one (25mm). 19mm not very strong . But overal not a bad item . Be careful with instructions , got most of the horizontal boards in then found out about the fitting of the doors , was able to get around doing the doors without taking all apart .